"In biology, and specifically genetics, epigenetics is the study of heritable changes in gene expression or cellular phenotype caused by mechanisms other than changes in the underlying DNA sequence – hence the name epi- (Greek: επί- over, above, outer) -genetics. It refers to functionally relevant modifications to the genome that do not involve a change in the nucleotide sequence. Examples of such changes are DNA methylation and histone deacetylation, both of which serve to suppress gene expression without altering the sequence of the silenced genes." "Epigenetic means "on the gene," and the term refers to the recent discovery that stress in the environment can impact an individual's physiology so deeply that those biological scars are actually inherited by the next several generations. For instance, a recent study has shown that men who started smoking before puberty caused their sons to have significantly higher rates of obesity. And obesity is just the tip of the iceberg—many researchers believe that epigenetics holds the key to understanding cancer, Alzheimer's, schizophrenia, autism, and diabetes. 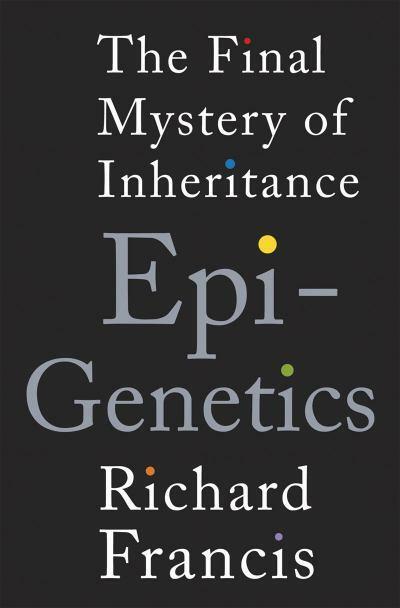 Epigenetics is the first book for general readers on this fascinating and important topic. The book is driven by stories such as the Dutch famine of World War II, José Canseco and steroids, the breeding of mules and hinnies, Tazmanian devils and contagious cancer, and more. 18 illustrations." I watched a documentary about it recently. I am very curious to hear what you think about the book in a future posting.